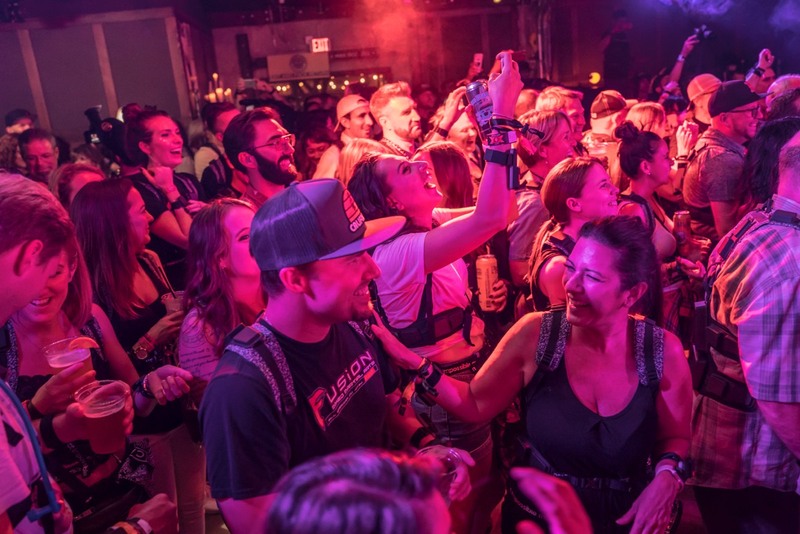 Enlarge / Deaf and hearing concert goers enjoy a shared live experience in Las Vegas with new wearable technology from Music: Not Impossible (M:NI). Mick Ebeling, founder and CEO of Not Impossible Labs, wears a kit at the September 2018 Las Vegas concert. The M:NI kit consists of a harness, two wristbands, and two ankle bands. Singer/songwriter Mandy Harvey (who is deaf) being fitted with a M:NI harness. Helpful signage instructs concert goers on how to personally tailor their musical experience. I had the chance to test M:NI myself at the company’s office in Venice, California, and it’s definitely a unique experience. The first electrical pulse was a bit of a jolt, but I adjusted the intensity and soon got accustomed to the strange buzzing sensations moving across my body with the music. Eberling and Belquer had me try it first without the sound, so I didn’t immediately peg the song I was “listening” to. But as the minutes wore on, I got the hang of it, and soon recognized a telltale drum beat from AC/DC’s “Back in Black.” In fact, my body recognized the beat before I could consciously identify the song. The company is preparing to roll out a commercial version next year, including select concert venues starting with the Zappo’s theater in Planet Hollywood’s Las Vegas location. There will also be a hands-on exhibition at Chicago’s Museum of Science and Industry. Will M:NI become all the rage for live concertgoers or remain a niche curiosity, akin to the D-Box movie theater technology that moves seats around with whatever is happening on the big screen? Time will tell.